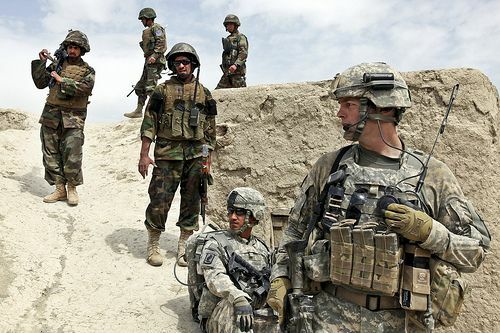 US and Afghan Soldiers determine which route to take to the village of PyroKheyl in Kherwar district in Afghanistan’s Logar province, on April 8, 2010. Photo via the US Army by Sgt. Russell Gilchrest.